Implied Odds are basically calculating your current odds for calling, plus the potential earnings that you’re likely to make should you complete your hand. So, even if it’s not reasonable to call solely on pot odds, sometimes it’s good to call based on implied odds, because you know you’re going to clean house if you do make that draw! The easiest way to understand this concept is through an example. You’re currently holding J9off, with the flop being 8, Q, 3. The current potsize is 40$ and your opponent leads out the betting with 10$. Pot odds tells you that this is a 5 to 1 call, and your odds of completing your gutshot straight draw is 11-1. You should fold, or should you? Based on your opponents betting techniques that you’ve observed in prior hands, you put your opponent on top pair with a reasonable kicker, at the very least. Because he’s a blindly aggressive player, you have strong reason to believe that you’ll be able to draw the rest of his 300$ stack into the middle, should you complete your hand. Suddenly, your odds have gone from 5:1 to being 35:1, and you’ve got an easy call. If your 10 falls, you’ll win 350$. It is an unreasonable expectation to assume that each and every time you complete your hand you are going to end up with your opponent all in. 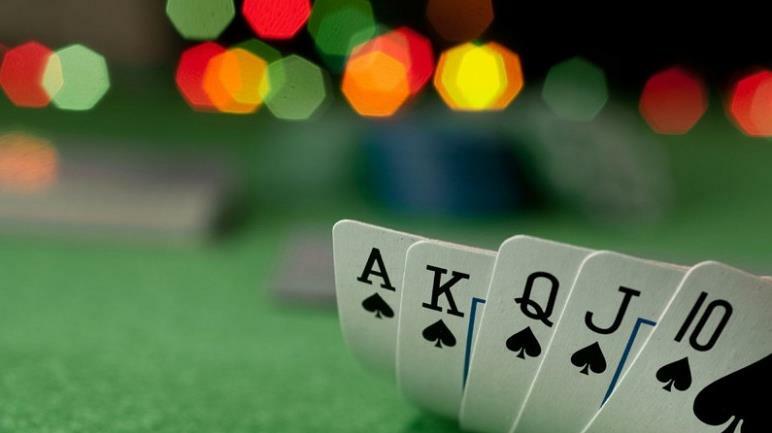 For example, if you complete a flush draw, many times your opponents will recognize they’re beaten and fold. Implied poker odds are meant to be utilized when you’ve gained the ability to discern between the type of opponent you’re up against (loose aggressive, loose passive, tight aggressive, tight passive) and you can tell just how strong they are based on their many tells that they’re sure to be exhibiting throughout play.